For the last two days, members of the Virginia Farm Bureau Federation AgPAC Board have been interviewing candidates for statewide offices at the West Creek office in Richmond. 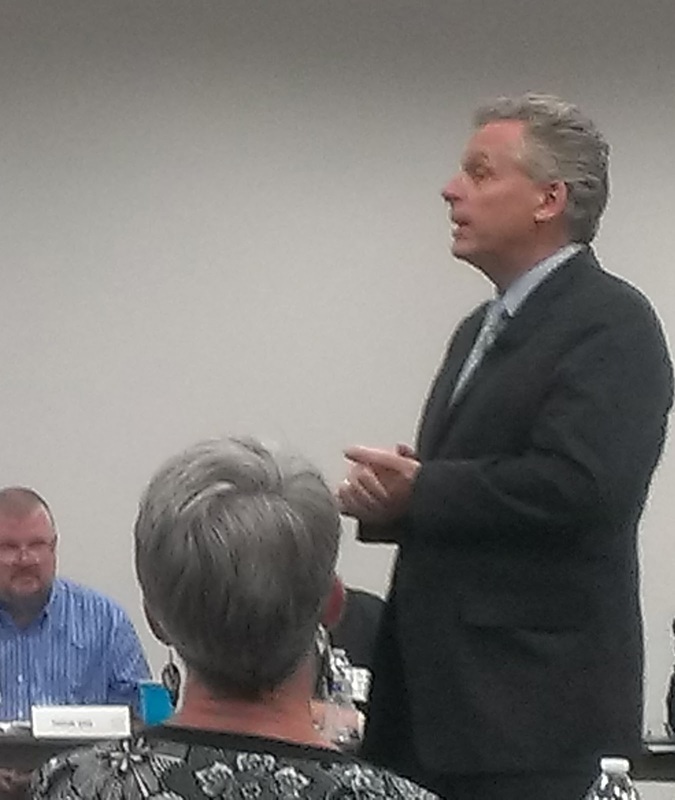 On Monday, AgPAC Board members heard from Democratic candidate for Governor Terry McAuliffe and Republican candidate for Governor Ken Cuccinelli, as well as Republican candidate for Attorney General Mark Obenshain. On Tuesday, the Board interviewed Democratic candidate for Attorney General Mark Herring , Democratic candidate for Lieutenant Governor Ralph Northam and Republican candidate for Lieutenant Governor E.W. Jackson. Board members asked the candidates questions about their campaigns, as well as their stances on important issues affecting agriculture such as government regulations, transportation, water quality and rural development. Members of the VFBF AgPAC Board have been elected by their peers and represent all areas of the state of Virginia. 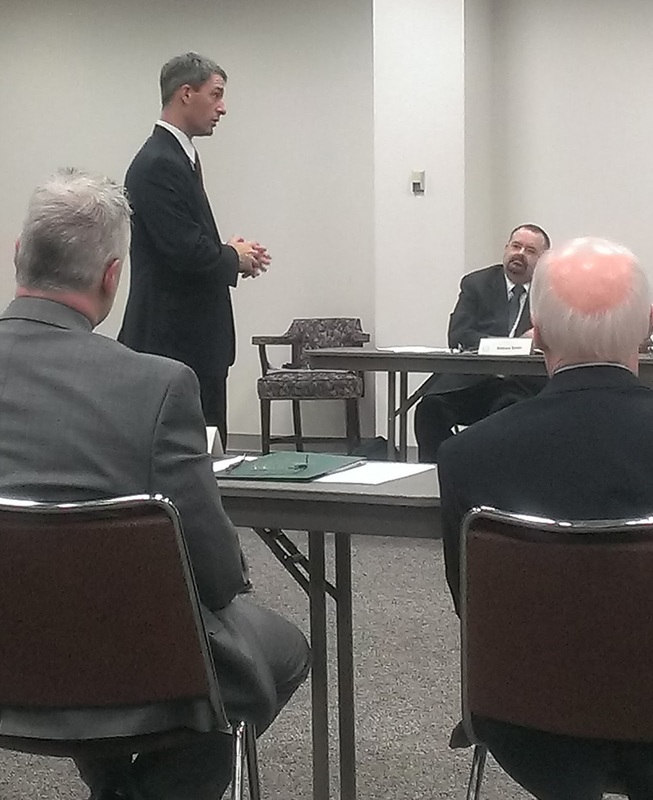 In the previous weeks, County Farm Bureau Local Evaluation Committees have been interviewing candidates for the Virginia House of Delegates across the state. Their endorsement recommendations were discussed and voted on by the AgPAC board. VFBF AgPAC endorsements for candidates running for statewide office will be announced on August 21. Endorsements for candidates running for House of Delegates seats will be announced in August 28. Stay tuned to Plows and Politics for those lists of endorsements.